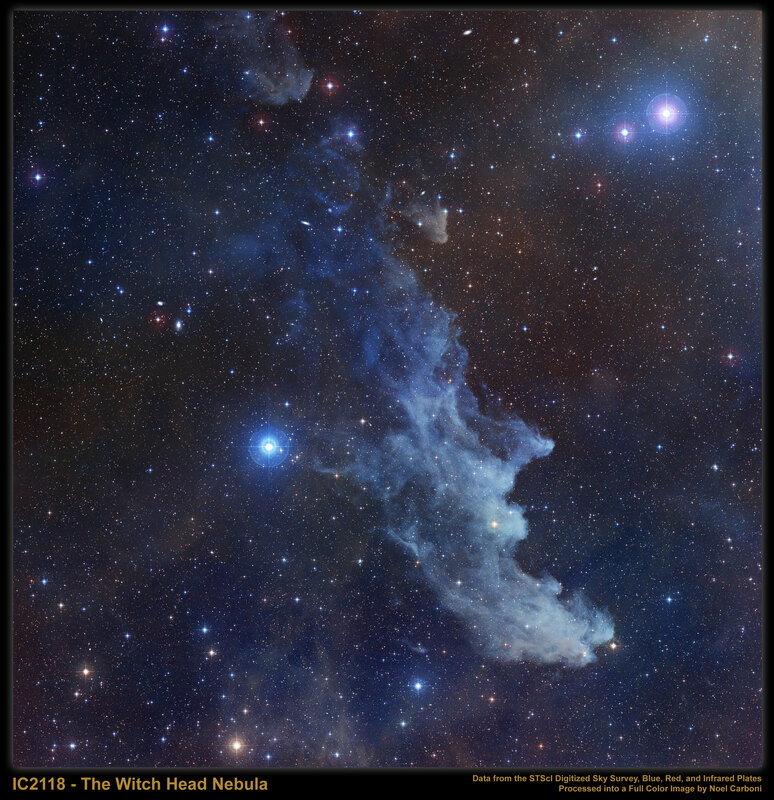 Explanation: Double, double toil and trouble; Fire burn, and cauldron bubble -- maybe Macbeth should have consulted the Witch Head Nebula. This suggestively shaped reflection nebula is associated with the bright star Rigel in the constellation Orion. 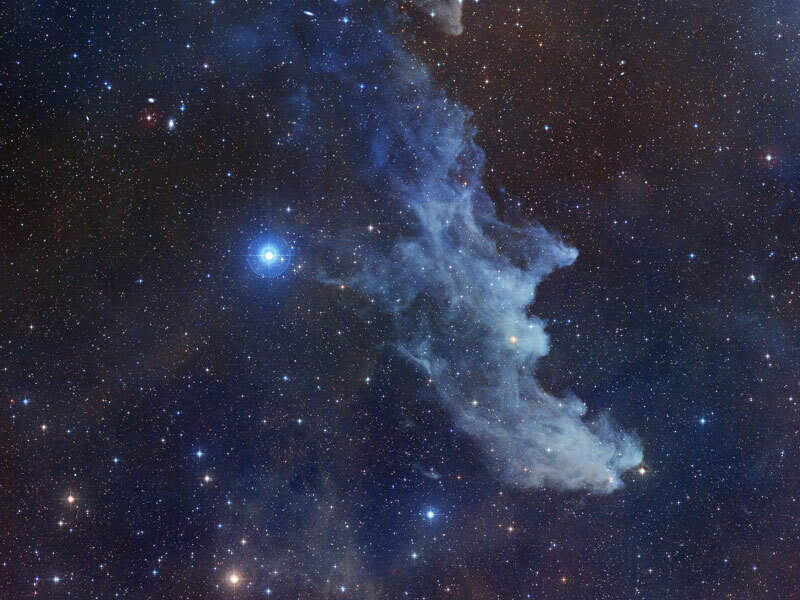 More formally known as IC 2118, the Witch Head Nebula glows primarily by light reflected from bright star Rigel, located just off the upper right edge of the full image. Fine dust in the nebula reflects the light. The blue color is caused not only by Rigel's blue color but because the dust grains reflect blue light more efficiently than red. The same physical process causes Earth's daytime sky to appear blue, although the scatterers in Earth's atmosphere are molecules of nitrogen and oxygen. The nebula lies about 1000 light-years away.